Adobe Acrobat 1.4 PDF, TIFF, JPEG, EPS. Texts converted or the font file attached. The newspaper settings can be found at www. iprint.fi (Tekninen tuki, Lehtitehdas). For black colour, we recommend 100% black or rich black, 100K, 5C. For overprinting with black, the value of the black colour should be 99%. In this case the underlying colour does not come through the black. 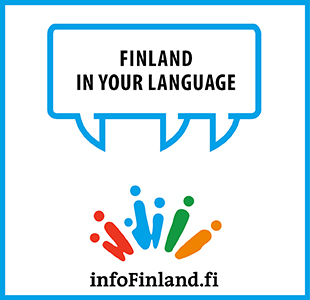 Reservations for the advertising material should be made by phone, e-mail or fax to the Helsinki Times editorial office by the booking deadline. Helsinki Times confirms every reservation by email or fax, which the advertiser needs to reconfirm within two days of the reservation. Cancellations must be made by e-mail or fax at least one week before the advertising material deadline. If the cancellation is made later, we charge the customer 50% of the net price of the advertisement. For cancellations that are made after the material deadline, we charge 100% of the net price of the advertisement. The advertising material has to be delivered according to our requirements. If there are concerns regarding the appearance of the printed advert, any claim must be made in written form within 14 days of the publication of the magazine. If the advertisement is left out by mistake or there is an error in its publication, the compensation never exceeds the amount paid for the advertisement. Payment is due within 10 days of the invoice date. Penalty interest 13%.